Hunter TEDx Presentation is Editor's Pick! 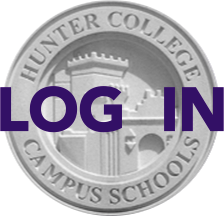 Videos from last fall's Hunter TEDx conference are now viewable at http://tedxtalks.ted.com/browse/tedxhunterccs/. Congratulations to our TEDx organizers and to alum Dave Crenshaw '81, whose presentation, "How Sports Can Empower Girls," was chosen as a TEDxTalks Editor's Pick for this week. Watch it here: http://tedxtalks.ted.com/. We were told by TEDx, "Amongst the thousands of strong TEDxtalks, yours stood out for being a truly exceptional and inspiring idea worth spreading, and you shouldn't keep it to yourself. We encourage you to let as many people know about the selection as possible." Help us spread the news!